The premises are located on the northern side of Church Street at the entry to the town centre on the one-way system. The town’s multi-storey car park backs on to the opposite side of the street and the Morrisons town centre store and High Street shops are within a short walk. Nearby occupiers include Laura Ashley, Boots Opticians, W A Truelove and Jack Wills. Access on to the M25 at the top of Reigate Hill (junction 8) is about two miles to the north and Gatwick Airport is about seven miles to the south. Part of the Old Wheel House, a 1973 development of shops and offices, the unit comprises purpose-built retail premises with curved, glazed and panelled shop front, outside blind, modern wiring, good quality flooring and one reserved parking space immediately outside the rear fire exit door. 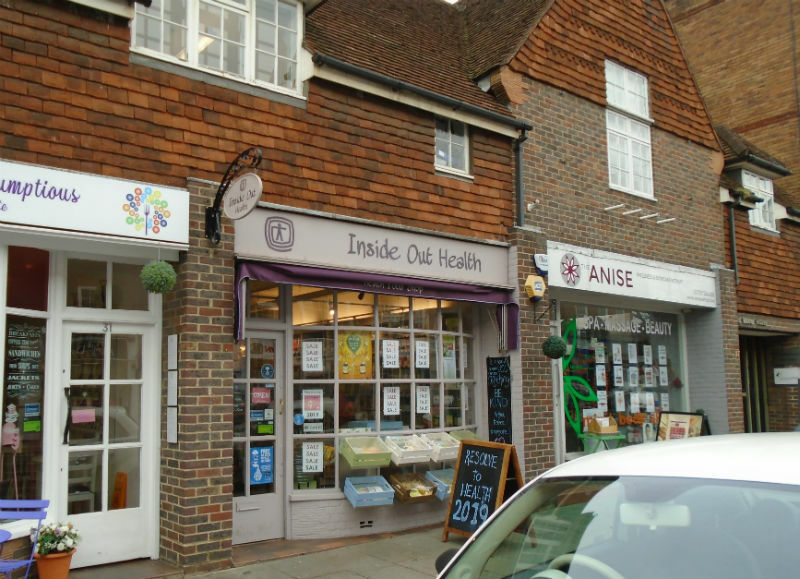 The shop has traded as a health food store since 2014 and the unit will be available from Summer 2019 when the current agreement expires. Retail area: 13’3” x 30’ 7” 405 sq ft.
Staff room/kitchen: 8’ 2” x 8’ 3” 67 sq ft.
Store cupboard: 3’ 3” x 4’ 4” 14 sq ft.
New 10 year FRI lease inside the Landlord and Tenant Act 1954 with rent review at the end of year five. Service charge to include building insurance contribution at £500 per annum for first five years. RV £13,750. UBR 43.9p in the £ 2018/2019. Reigate & Banstead Borough Council Tel: 01737 276691.